This interview is a part of a series, Inspirational Stories of Single Mothers. This week’s interview we are featuring Donna Gunderson. She is a financial advisor and single mom who has an office in northern Minnesota. In addition to working with local clients, she has clients from across the East to the West coasts. Her greatest joy and ultimate purpose is to have meaningful relationships where she positively moves people forward. 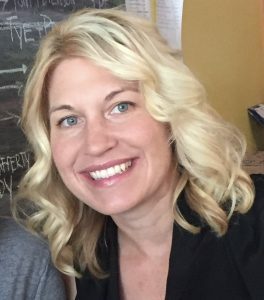 She has tremendous energy and encouragement for everyone she is fortunate enough to meet, connect with, and help out. 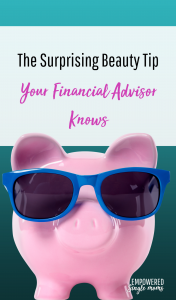 Ask your financial advisor about this beauty secret. The challenge of how to balance everything: mom, career, family, and friends! How to juggle might be a more accurate description. As a mom, I strived to lead by example and inspire my son while encouraging him to find his own path. The balance challenge has taken different directions at different ages. It is still an ongoing challenge, but it’s one that I now embrace. My important life lesson was to let go! There are many things we cannot control. Worrying, comparing, or trying to be a certain type of mom is not productive. Over the years, I’ve had to let go of certain ideals. My son absolutely knows he is the center of my universe and my love is constant and unconditional. The rest is just details, experiences, and wonderful moments of discovery. When I listened more and found peace in being present, I began to appreciate the gift of now. I leaned into myself, my strengths, and my son’s strengths. In all meaningful relationships, there is an ebb and a flow and a great dynamic component. I support our family with my own business. It is important to give back and contribute to the health, wealth, and wellbeing of my community. As a financial advisor, I look for opportunities to connect with people and advance their goals. Partnering with me gives individuals a strong sense of confidence in how they will move forward in achieving their goals. Women have the distinct advantage of looking younger when they move their finances and financial goals from the back burner to front and center. The meaningful relationship we create maximizes you. I get so energized releasing this burden from women! It is a joy to watch women gain confidence and get visibly lighter and brighter throughout our meeting as they recognize the value of moving forward on terms that work and make sense for them. 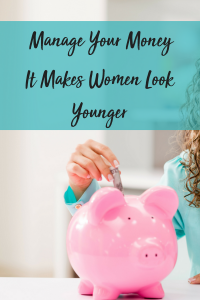 That is how to look younger by managing your finances, ladies! I invite you to try it and see for yourself. Do you know what she knows about managing your money and how it affects your looks. Yes. I wanted to provide my son with more opportunities, so I transitioned my career path. Hard work, desire, and determination are attributes that have always served me well. Believe. Each day is a new opportunity. Look into your child’s face and absorb all that love to help you press on. The answer is love. What was the question? How different our lives would be if we lived by this. I am currently reading Harvard Business Review, Coastal Living, and Pottery Barn magazines. I wish I had time for a novel. Harvard Business Review fuels my mind, Pottery Barn fuels my creativity, and Coastal Living fuels my soul. To me, this means that we can do more than we think to create our destiny. Move forward with courage, grace, love, and hope. 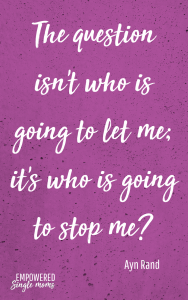 Inspire and be inspired–daily!